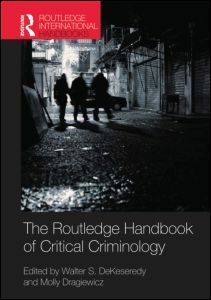 Did you know that the Library subscribes to the Criminology and Criminal Justice section of Oxford Handbooks Online? They are a great resource for Sociology and Criminology students here at Salford. The Library has full access to Routledge Handbooks Online. One of the subjects we subscribe to is Criminal Justice and Criminology. Routledge Handbooks Online brings together the world’s leading scholars to provide cutting edge overviews of current research and future trends in the Social Sciences and Humanities. One of the most popular resources for Social Policy, Sociology and Criminology students at Salford is ProQuest. You may be familiar with using either ProQuest Social Science Journals or ProQuest Sociology.